PCX, which stands for Personal Computer eXchange, is an image file format developed by ZSoft Corporation of Marietta, Georgia. This format is native for PC Paintbrush and is considered one of the most widely accepted DOS imaging standards. Of course, it is not as popular now as it used to be because PCX has been replaced with JPEG, GIF, PNG and other modern image formats. However, in some cases a need to convert modern JPEG into PCX in batch or individually might arise. Such situations are especially true for users who, for some reason, prefer to use DOS system instead of Windows. If you don’t want to spend hours dealing with JPEG images, you are strongly recommended to download special software to convert JPEG to PCX in batch. It is essential that batch conversion option is enabled in the JPEG PCX converter of choice because you don’t to perform one and the same action manually. 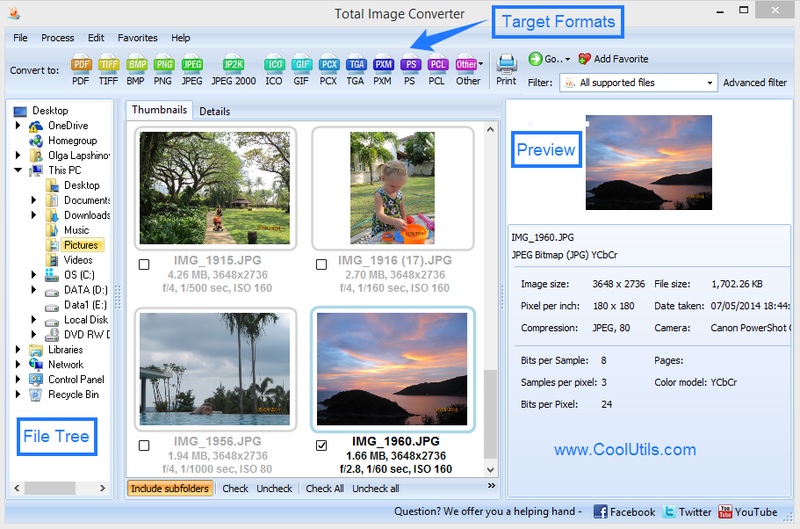 You can try batch image converter by CoolUtils, Total Image Converter. The functionality of Total Image Converter is unprecedented. This batch JPEG converter is great to process images into PCX and other formats, including BMP, JPEG, ICO, PNG, GIF, TIFF, RAW, PXM, TGA, and PDF. It is also perfectly suited to edit images (crop, resize and rotate) and to apply watermarks. The simple interface of the program can be mastered by anyone, from beginning to advanced users. In-built wizards and online tutorials make it even easier! The CoolUtils converter is priced as below $20, which makes it affordable to anyone. The free 30-day trial version is also available for download. 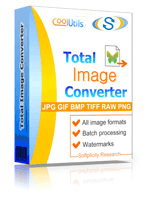 Total Image Converter is certified by BlueSofts, Topshareware, Download2you, CriticalFiles, Softchecker, NDF, and Softpedia. 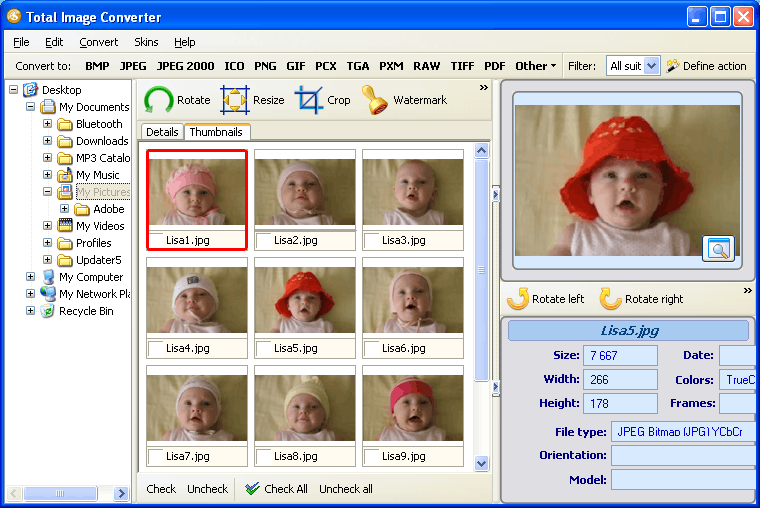 Thousands of users who currently own Total Image Converter and happy with it and recommend it to their friends. 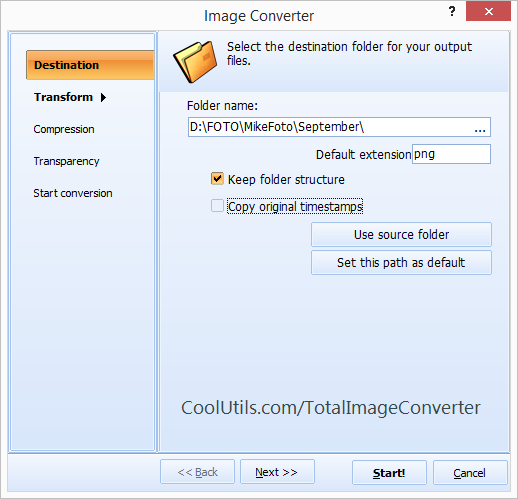 Download Total Image Converter now!